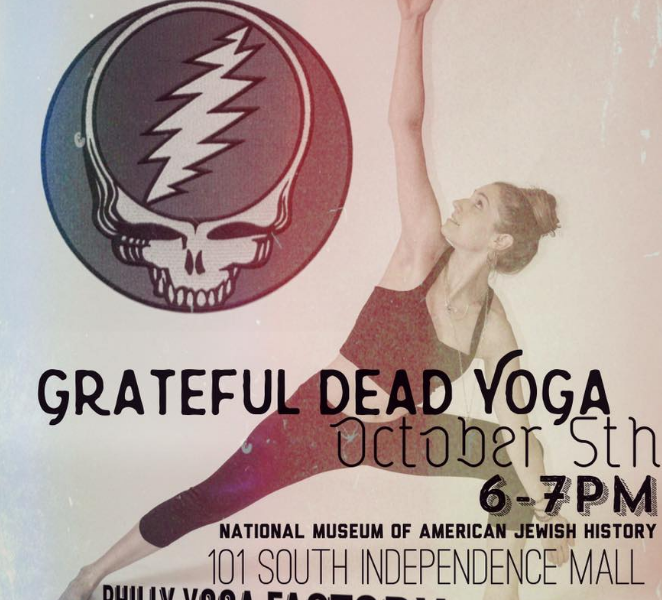 Stretch out and relax in an all-levels yoga class while listening to a soundtrack by The Grateful Dead. For beginners and seasoned yogis alike. After class, explore the Museum’s special exhibition, Bill Graham and the Rock & Roll Revolution, to see memorabilia, photographs, and more from the Dead and other iconic bands. Don’t miss out! Can’t make it on Wednesday?… Join Stephanie on Sunday the 9th from 10:30 – 12:30 for Family Friendly Yoga to a hand picked playlist of music from many of the bands Bill Graham worked with throughout his life. Including Janis Joplin, Jimmi Hendrix, Rolling Stones, Jefferson Airplane and more! Classes are free with admission to the museum. We can’t wait to see you there!